Beef with mushroom and cauliflower stir-fry is one of my favorite Chinese food recipes that I usually cooked for my family. But, I would like to share something about the meat here in Canada. I’ve noticed that all meat here in Canada particularly the beef is very tender. I’ve learned that there are many ways of aging meats shortly after an animal is slaughtered. The most common is Cryovac-aged. In this process the carcass is broken down into smaller cuts that are vacuum-packed in moisture-vapor-proof plastic bags and aged under refrigeration. The removal of oxygen reduces mold, bacterial growth and fat rancidity, while allowing enzymatic action to continue. Aging does not affect quality grading, but it can affect quality eating. It contributes to the tenderness and flavor. I’ve also read that grades (Prime, Choice and Good) are important to most of the cook because they influence the choice of cooking method. Higher grades are juicer and tenderer than lower grades. But a good cook can create a palatable dish from any grade of meat by choosing an appropriate way to cook it. Prime grade is the highest in quality as well as in price. It has a good-quality fat cover and abundant marbling. Choice grade is also a high in quality. It has good brittle fat and good marbling. It is the most commonly used grade and is usually in abundant supply, so the price is within reason. Good grade meats may have lower-quality fat or less cover and less marbling than the two higher grades. Lack of fat and coarser flesh texture will not yield as tender and juicy. In most supermarkets today, meats are in portion-control cuts ready for use. Whenever I buy meat, I choose prime grades. Even though it’s a little bit pricey, but I’ve experience that it has an excellent quality, juicer, tenderer, fine-textured flesh, less cooking time and most of all, it possess the flavor me and my family enjoy the most. After all, meats are the major source of protein in our diet. TRIM fat from beef. Slice meat with grain into 2 inch strips. Cut strips across grain into 1/8 inch slices. In a bowl, combine sliced beef with vegetable oil, cornstarch, salt, sugar, soy sauce and pepper. Stir to blend. Cover and refrigerate 30 minutes. (You may also wish to adjust the seasoning to your liking. By smelling the aroma of the marinated meat you’ll know if it is well seasoned or not). SEPARATE cauliflower into flowerets. Place flowerets in boiling water. Cook for a minute or two. Using a strainer, remove cauliflower and immediately rinse under running cold water to stop cooking. Set aside. 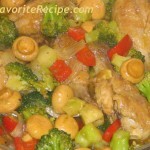 IN ANOTHER bowl, mix broth or water with cornstarch and oyster sauce. Stir to blend. Set aside. HEAT oil in a skillet (or a wok) over medium-high heat. Stir-fry the beef for about 3 to 5 minutes or until meat is brown. Add garlic and onion, sauté until it softens. 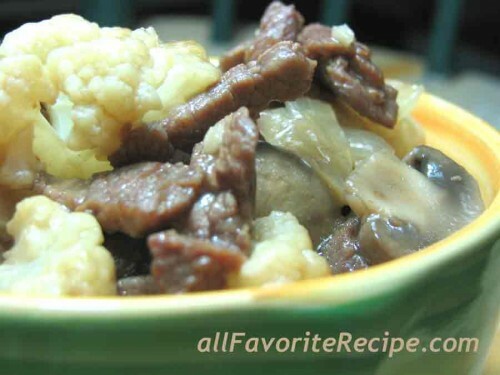 Stir in mushrooms and cauliflower. Cook for a few minutes. Stir in cornstarch mixture. 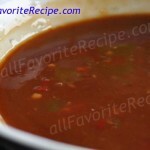 Continue stirring until sauce thickens for about a few seconds. Correct the seasoning, to taste. Remove from heat. Serve hot the beef with mushroom and cauliflower and garnish with fresh coriander. Cut meat with the grain into long strips about 2 inches wide. Cut each strip across grain into 1/8 inch slices. To shred meat, stack slices and cut into thin strips. I tried this and it became of my son’s favorite. I used brocoli though because my wife don’t like cauliflower. I also minimised the use of oil. I don’t want it too oily.